Unless you're special, expect to wait for your electric Benz to arrive. A range of all-new electric vehicles hitting the market are experiencing delivery delays because of likely production issues. The Tesla Model 3 is a prime example. The Audi e-tron SUV has also been delayed over a software issue. And now Electric, via German publication Handelsblatt, reports that volume delivery of the Mercedes-Benz EQC is being delayed until next November. Interestingly, Mercedes previously said it wouldn't suffer major delays like the Model 3. The original plan was to get them to dealerships by this June. No precise reason was given for the cause of the delay, but it doesn’t appear to be serious. More than likely it’s due to the Bremen, German assembly plant still making the necessary preparations for mass production. Why do we think this? Because the report claims the automaker’s so-called "VIP customers” will actually receive their EQCs in June as originally planned. Mass production for a vehicle with an entirely new powertrain technology can be complicated at first. As the first member of the EQ family to make production, delays are not out of the ordinary. Mercedes-Benz has yet to comment on the report. 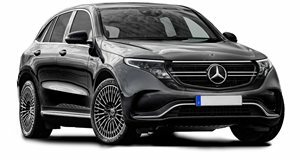 What’s also interesting is that despite those VIP pre-orders, Mercedes has yet to confirm the EQC’s official sticker price. Based on previous estimates and what the competition costs, we anticipate a starting price of around $70,000. With a driving range of 280 miles, the EQC is powered by two asynchronous electric motors, one at each axle, producing a total of 402 hp. Top speed is electronically limited to 112 mph. And thanks to a DC fast charger, owners will be able to charge the SUV from just 10 to 80 percent in 40 minutes. But it should also be noted that the EQC is based on the existing GLC, meaning the two share wheelbase dimensions. The Audi e-tron also shares a platform, the MLB, with a number of other Volkswagen Group vehicles, currently in production. Both SUVs are only the first salvo of EVs coming from both brands, but future EVs will be built on their own dedicated platforms developed solely for BEVs.